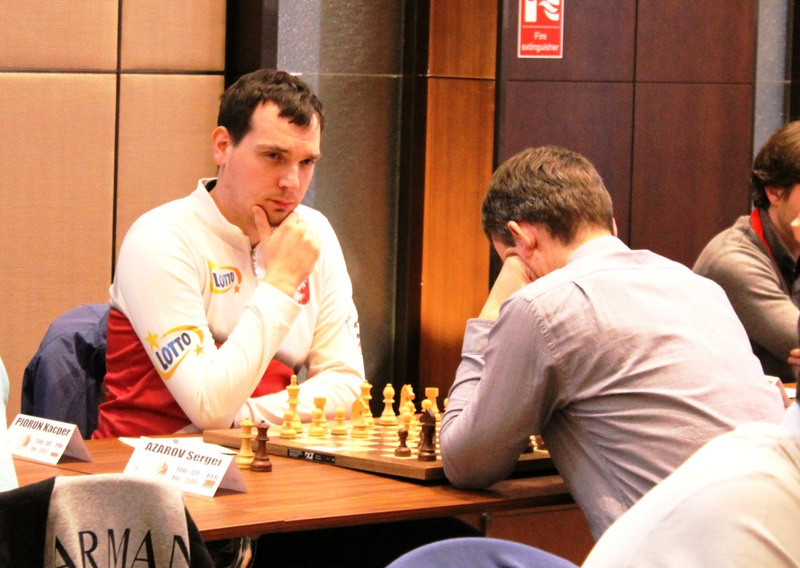 After five played rounds at the European Individual Chess Championship 2019, Rodshtein Maxim (ISR, 2673), Berkes Ferenc (HUN, 2666), Alekseenko Kirill (RUS, 2644) and Piorun Kacper (POL, 2631) lead the standings, each with a score of 4.5 points. 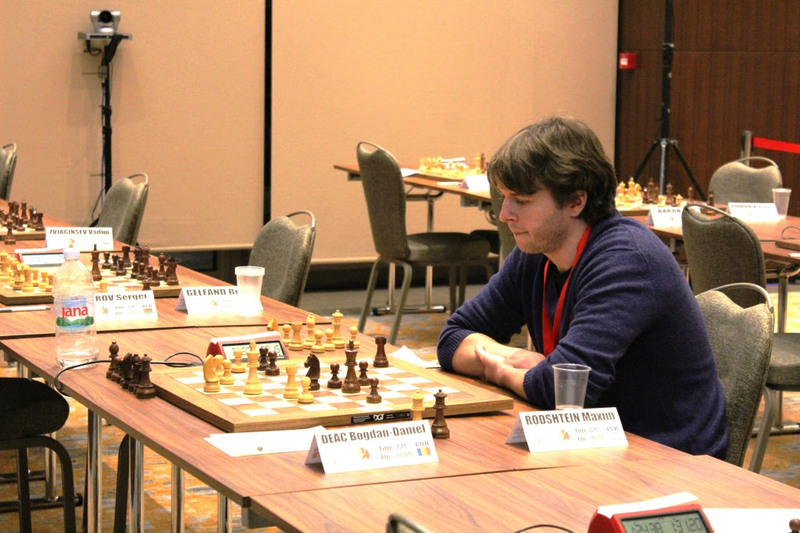 Rodshtein defeated Deac Bogdan-Daniel (ROU, 2609) with black pieces, after an equalization in a Najdorf variation. For the rest of the game, Israeli Grandmaster pressured the opponent, and eventually won. Berkes Ferenc (HUN, 2666) took the big advantage with whites against Pantsulaia Evan (GEO, 2611) in the very early part of the game, but things have got complicated, and the position transfered to a drawish endgame. After long fights, Pantsulaia made a huge mistake in opposite color bishops endgame, and Berkes took a point. Piorun Kacper (POL, 2631) triumphed in game against Baron Tal (ISR, 2505) after the Israeli made an unsound sacrifice for a King attack. 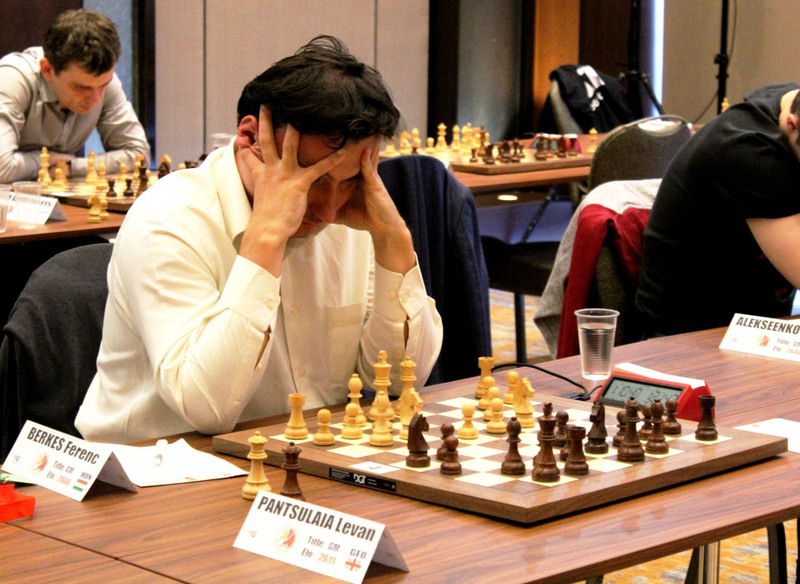 Piorun defended well, and Baron resigned after only 23 moves. 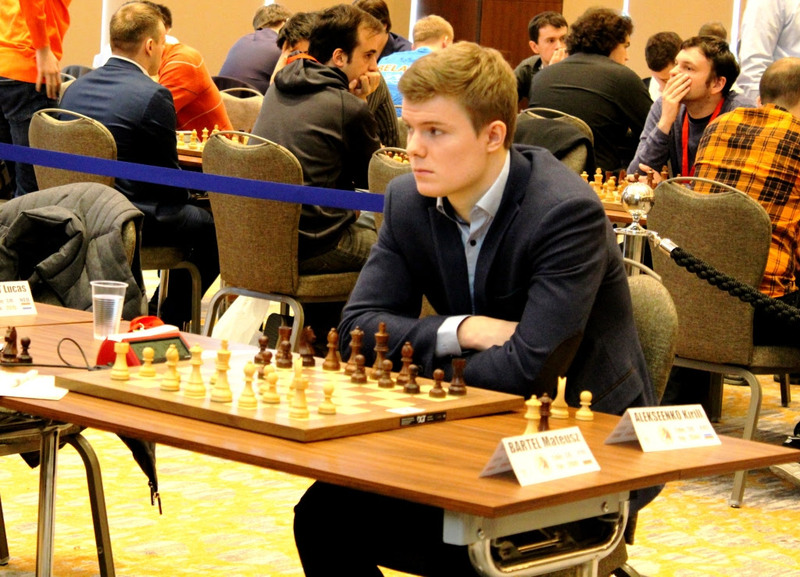 Svane Rasmus (GER, 2610) achieved a winning position against Alekseenko Kirill (RUS, 2644), but fell into a time trouble and blundered for an immediate turnover, after which Alekseenko took a victory to join a leading group of three. 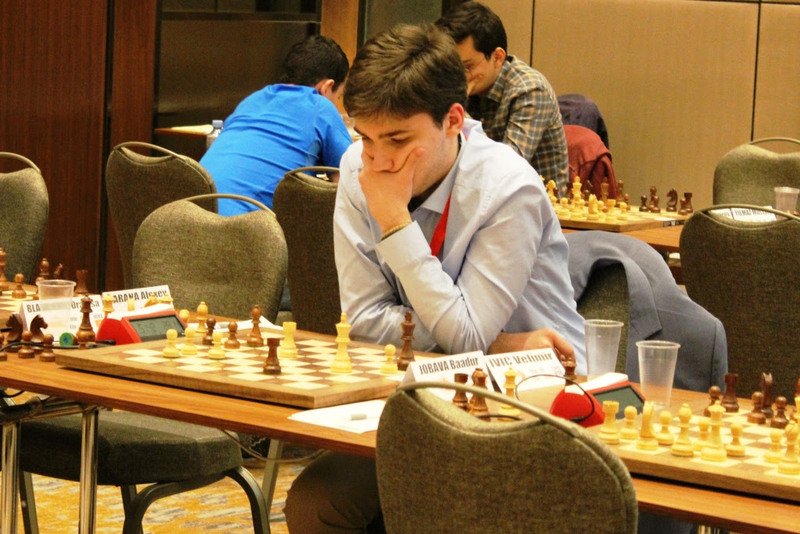 Behind the leading four is a group of 25 runner-ups with score of 4 points, among whom the greatest surprise is a 17 years old Serbian International master, Ivic Velimir (SRB, 2487). Ivic have made a masterpiece in the round 5 against Italian representative, Vocaturo Daniele (ITA, 2616), who have been made to resign after only 26 moves of playing. Today is a resting day, and the fight for the throne continues tomorrow at 15.00 (local time). Pairings of the round 6, results and rankings are available here.